Joe Cocker’s usually curly mop of jet black hair is padded down with sweat after an energetic New York City concert. 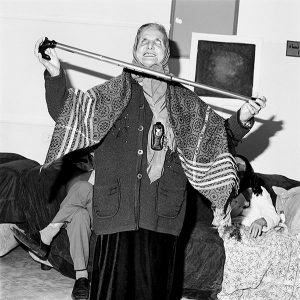 The musician, a guise of piercing, sleep-deprived eyes and wrinkled forehead, is being interviewed by a journalist in his dressing room; Richard Busch ’63 looks on, through a camera lens. Eighteen of his photographs from the ’60s and ’70s are now in the permanent collection of the Museum of the City of New York, many focusing on the individuals in the city that never sleeps. 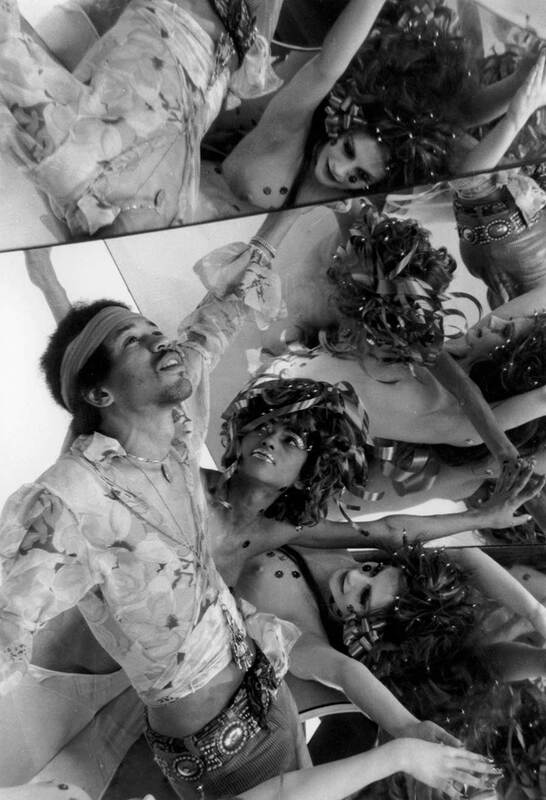 Jimi Hendrix was just coming off the success of “Electric Ladyland” when Busch shot this photo at a studio in Midtown Manhattan. “We set up some mirrors and got a bunch of women to undress and be with him in this complicated mirrored image setting,” Busch recalls. “It was a little wacky, but it was a lot of fun.” Though he shows a glimpse at the vivaciousness of the psychedelic star in the photo, Busch’s interaction with Hendrix was different. “One thing that struck me was how shy he was. His handshake was very soft. It was in direct contrast to the wild man image he projected on stage. He struck me as a fragile person.” Hendrix died not long after the photo was taken. 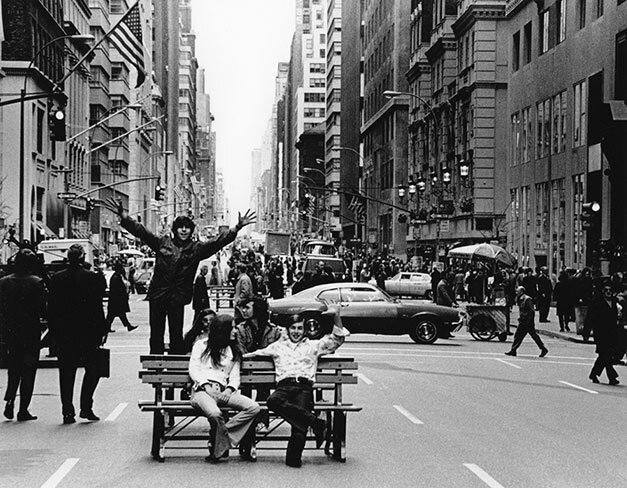 The first Earth Day on April 22, 1970, drew millions across the nation, and the celebration shut down traffic on New York City’s Madison Avenue. 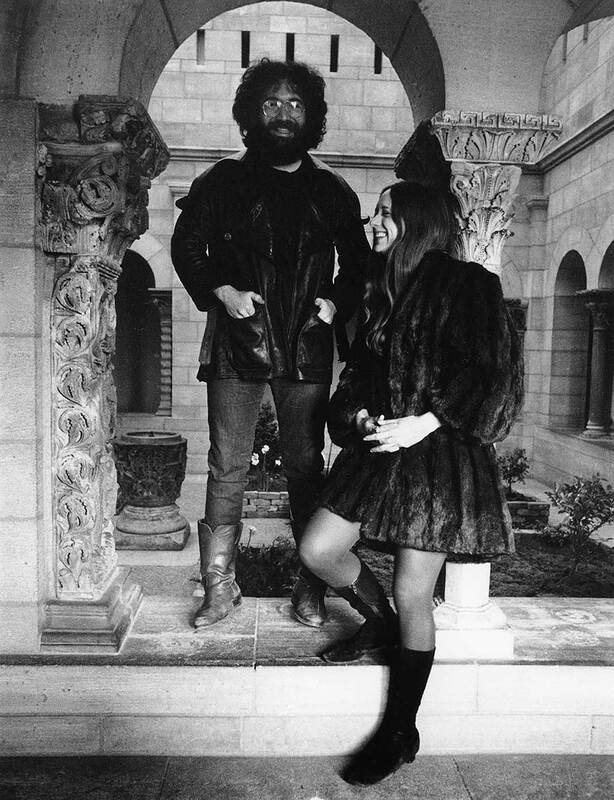 Although Busch photographed high-profile people for magazine assignments, the bulk of his photography was for personal interest — like this photo. He didn’t attend because of the hype surrounding the event, which boasted names like Paul Newman and Ali McGraw, but rather because he wanted to witness the first-ever Earth Day and snap photos of everyday New Yorkers. 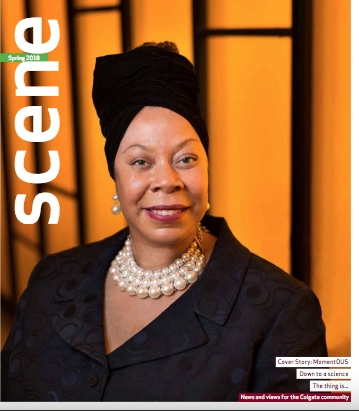 Dhana Gilbert ’90 visited New York City in the 1800s. She’s no time traveler. But, as a producer, she’s helped turn back time for some of TV’s hit shows, the most recent being The Marvelous Mrs. Maisel. The program won the 2018 Golden Globe for Best Musical or Comedy Television Series, and its star, Rachel Brosnahan, won for Best Actress in a Musical or Comedy Television Series. Set in 1959, Maisel follows Miriam “Midge” Maisel, a well-to-do housewife on the Upper West Side, through her separation with her husband. To deal with her heartbreak, Midge turns to comedy and tries to make her way in the stand-up scene. Turning back time in Manhattan wasn’t all bagels and cream cheese. For Maisel, the crew had to be accurate in re-creating the era — right down to the lighting. Also, there’s a struggle in filming in a city that’s constantly moving. Midge lives smack in the middle of Manhattan. And she’s going to clubs around the city, so she spends a lot of time in the hustle-and-bustle of New York. “If you’re shooting in the Flatiron District, you’re limited to three days to completely change the setting, soup to nuts,” says Gilbert. The last episode in the first season of the show takes place during Christmas, and Gilbert and company were tasked with transforming August in New York City into the holiday. They chipped ice and blew the resulting snow to make the scenes look real. The crew brought in 100 Christmas trees and period-correct cars and clothing. And, they took a month to design 1950s holiday window displays for the department store featured in the episode, complete with animatronic elves and a chubby Santa Claus by the fireplace — all at the base of the Empire State Building. Of all the shows she’s worked on, including Boardwalk Empire and Vinyl, Gilbert’s favorite era to recreate was in Maisel. “Everything was perfectly manicured,” she says of the time. Imagine New York City in 1959: Glittering Rockettes are performing at Radio City Music Hall. Bobby Darin’s “Mack the Knife” is crooning fuzzily through vintage car speakers. Women in tea-length skirts walk down the street in clicking heels. 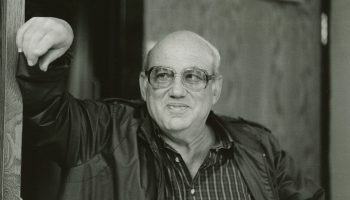 As a producer, Gilbert is responsible for almost every aspect of a show. It’s a lifestyle choice, and it’s not always a fashionable one. When shooting Boardwalk on Staten Island in 100-degree heat, the team had to crack the fire hydrants because Gilbert was worried about the crew getting too hot. “It’s not glamorous at all when you’re sweating on the sidewalk,” she says. But she wouldn’t trade that sidewalk for the world. For this year’s senior studio art projects, Nicole Chen, Kimberly Duncan, and Benji Geisler used art as a platform to highlight meaningful aspects of their identities. From modeling abstract expressionism to understanding the mind and body, each artist asked viewers to look beyond the physicality of their creations and reflect on a deeper and more personal question. Can abstraction present a narrative? 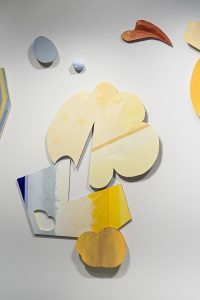 In this project, I aim to blur the boundary between painting and sculpture by establishing paintings as objects in their own right. With distinct shapes and sizes, the pieces adjoin, clash, contain, and overlap with one another. Through a combination of positive and negative space, they create a rhythm of tension and release that spans the wall. Inspired by abstract expressionism, I experimented with different gestures and investigated how the brushstrokes not only activate the edges, but also are restricted by them. As painter Wassily Kandinsky pointed out in his color theory, blue has an intrinsic inward movement while yellow is outward facing. Informed by and relating to this idea, I seek to reflect upon my own personality through the interplay of blue and yellow. As an environmental studies and studio art double major, my motivation is to minimize the abstract space between daily human activity and displaced impact. In Anthropocene rhetoric, irreversible environmental harms emerge mostly from the actions of privileged humans. By contributing to global outputs of CO2 with our local actions, we are impacting spaces that are geographically distant. Either from denial or complacency, we are not always aware that we are complicit. This piece is not meant to serve as a solution but as an obituary for an intricate ecosystem that we are destroying. Along the borders of a dream, the mind and the body separate. While the mind may transition into a dream unknowingly, the body lingers behind in limbo, never fully passing through. Nevertheless, forms of the body persist. These forms mutate, shift, coalesce, vanish, emerge, and rupture the physical bounds of the body. 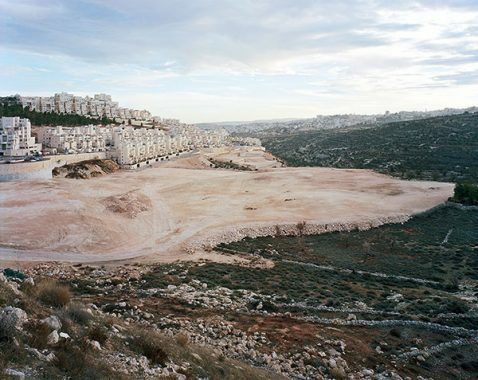 A major exhibition of photographs, This Place explores Israel and the West Bank “as place and metaphor” through the eyes of 12 internationally acclaimed artists. 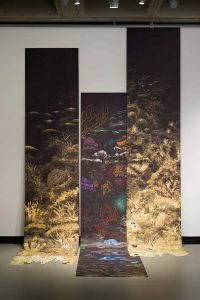 Because the exhibition is divided among four collegiate art galleries, it has presented a perfect opportunity for museum studies students to apply what they’ve learned outside of the classroom. 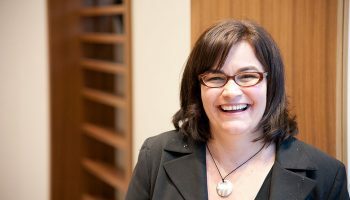 Professor Liz Marlowe, the founder of Colgate’s new museum studies minor, is using This Place as a focal point in her course Museum Exhibitions: Design, Rhetoric, and Interpretation. The first stop of the four-museum tour was the Wellin Museum of Art at Hamilton College. Frédéric Brenner, the French initiator of This Place, spoke to Colgate and Hamilton College students in the Wellin on March 8. Matt Brogan, the project’s director, also spoke and answered questions about the works on display. 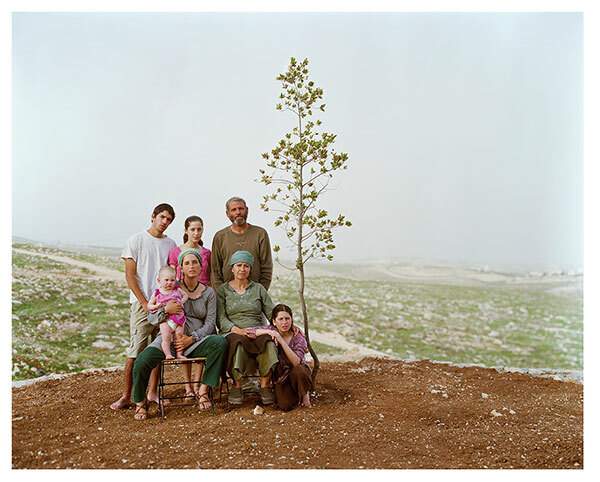 Brenner’s work features portraits of families whom the artist got to know while visiting Israel and the West Bank. One photograph, The Aslan Levi Family (2010), features a family whose serious expressions seem to mask internal conflicts. Brenner chose to display the image without a descriptive label so that the family’s situation would remain mysterious to the viewer. 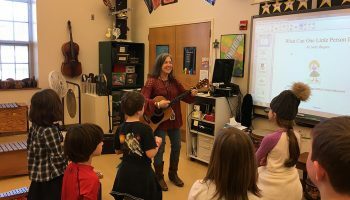 A few weeks later, Marlowe’s class piled back in a bus to visit the Tang Teaching Museum at Skidmore College before moving on to the University Art Museum at SUNY Albany. At each museum, Marlowe asked her students to explore the displays in groups of two or three, find something interesting, and then speak about it to the rest of the class. The four exhibitions displayed similar works in very different ways. For example, the intimate photographs of Wendy Ewald were mounted adjacent to barren landscapes by Stephen Shore at the Wellin Museum, which created an interesting tension. These two artists were displayed in entirely separate rooms at the Tang Museum. Professor Marlowe’s students used their museum theory training to analyze these curatorial choices. A semester-long topic of discussion has been the controversial nature of This Place. The show has been criticized for featuring many American and European photographers, but no Israelis or Palestinians. This absence raises questions about neo-colonialism and Islamophobia, among other potential biases. Each museum did something to address the controversy. The Wellin Museum contains a classroom space called WellinWorks, where critical dialogue occurs alongside This Place. The museum at SUNY Albany mounted contextualizing object labels written by an art history student and set out a binder where visitors could write down their opinions of the show. 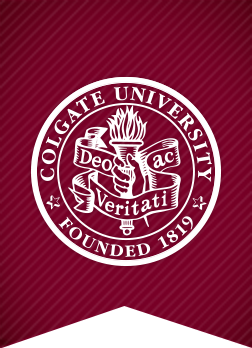 For its part, Colgate invited several scholars to campus to speak on the complicated issues at hand. One such visitor was Ian Lustick, a University of Pennsylvania professor who specializes in the history and politics of the Middle East. Lustick gave a talk called “In Place, Out of Place, Out of Space: Palestinians and Jews in the West Bank” on March 29. “It has been interesting to see what each of the other schools has done with this exhibition as well as how they used the gallery spaces available to them,” physics major Zoe Sale ’18 said. He has a head of silver curly hair, and as your eyes move down his frame, you see a perfectly tailored black suit. But then there are his shoes. Creating pause, the Ferragamo red and purple chevron loafers are bold. And on a stage in front of millions of viewers, people notice. It’s the Oscars, after all. Everyone is watching. Producer David Fialkow ’81, along with his co-producers, accepted the Academy Award for Best Documentary Feature in March. His film, Icarus, exposed the Russian doping scandal that would lead to the country’s expulsion from the 2018 winter Olympics. 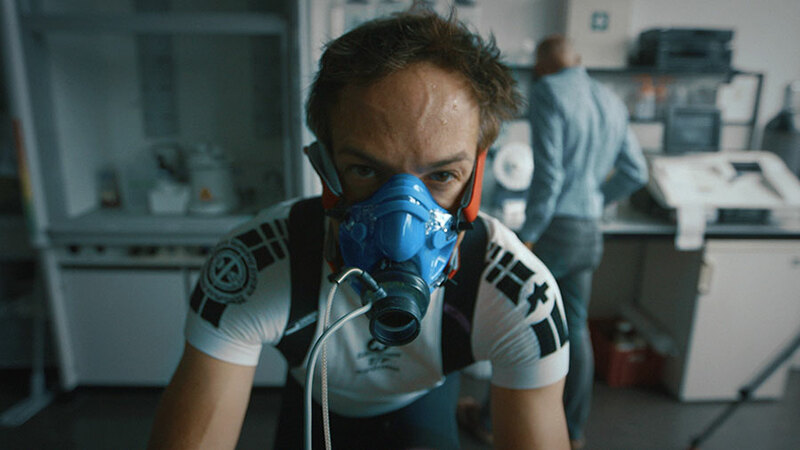 The filmmaking process started in 2014 and was intended to be a film about director Bryan Fogel seeing the differences between cycling at an elite level both on and off performance-enhancing drugs. 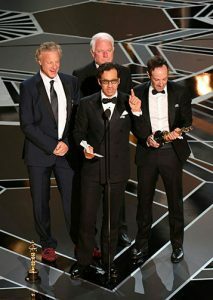 But, during filming, Fogel wasn’t actually performing better on performance-enhancing drugs, so “that story and aspect of the movie was not that interesting,” says Fialkow, who spends his days as the managing director and co-founder of the venture capital firm General Catalyst. Like his shoes alter the tone of his outfit, Fialkow’s interjection in Icarus caused the film to become something new. While in Switzerland watching Fogel race, bikes whizzing past, Fialkow realized the film might flop if it didn’t take a different direction. So, along with director Fogel and co-producers Dan Cogan and Jim Swartz, he made the decision to pivot to Grigory Rodchenkov, the Russian whistleblower who would eventually expose Russia’s state-sponsored doping program. As the director of Russia’s anti-doping laboratory, Rodchenkov was at the forefront of the conspiracy that led to thousands of athletes doping under the radar. Rodchenkov was initially involved in Icarus as an aid to Fogel — he taught him how to dope without getting caught. Then, he emerged as a whistleblower, willing to expose the program. The makers of Icarus saw their chance and took it. “A lot of this has to do with luck,” Fialkow says. Fialkow’s son, Julian Fialkow ’17, was also at Fogel’s race in Switzerland, and he helped mediate the conversation about the film’s need to switch courses. The young Fialkow, a biking fanatic like his father, explained to Fogel that his father’s experience as a venture capitalist entails helping businesses make changes, so he assured Fogel that there’s always a plan B and the film would still be a success. Eugene Young ’81, a TV producer who helped make American Idol and other TV shows, also assisted on the film. 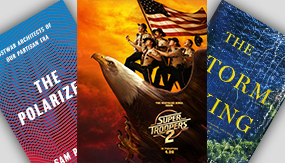 The film is now available for streaming on Netflix, which reaches about 118 million subscribers around the globe. Rodchenkov is in protective custody in the United States. The film gets its name from Greek mythology’s cautionary tale of Icarus and his father, Daedalus. The two are escaping from Crete by way of false wings made from wax and feathers. Daedalus warns Icarus not to be overly complacent or confident and fly too low or high, but Icarus does the latter. His wings melt, and he falls into the sea and drowns. In this film, Rodchenkov might play Daedalus, whose initial cover-up would make the state-sponsored doping mechanism and those behind it feel secure in their actions. Only, the film is the sun.